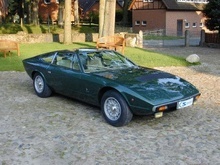 Maserati replaced its Indy model in 1973 with the new Khamsin. 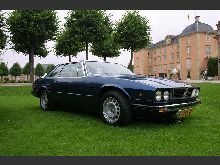 The Khamsin still used a unitary body although this had been styled by Bertone instead of Vignale. 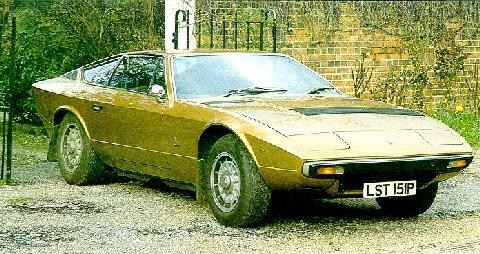 As with the Indy the Khamsin was intended to be a two-plus-two seater although in reality these seats were only suitable for occasional use. 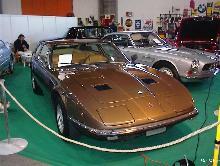 The Khamsin came with 4930cc quad-cam V8 and a choice of either manual or automatic transmission. 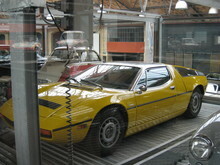 Due to the extra weight of the Khamsin top speed was "down" to 150mph, although at least power-steering was now standard. 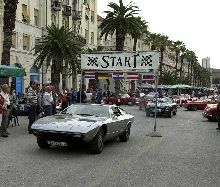 Production of the Khamsin finally finished in 1982 after 421 cars had been built.